The idea of the TeleCAD course evolved from the AutoCAD course delivered in ODL (Open Distance Learning) mode for students from Civil Engineering Department at Gdansk University of Technology since 1996. The TeleCAD project (Teleworkers Training for CAD Systems’ Users) was co-financed by European Union Leonardo da Vinci Programme and developed by Gdansk University of Technology (GUT) in co-operation with four foreign institutions from Greece (IDEC, ZEUS), Finland (Pekkala Software Oy), Italy (ARGO) and one Polish company Young Digital Poland S.A. . Developing an Internet based platform (Learning Management System) for the distance courses preparation and delivery. Developing training materials available in 3 forms: printed, CD, online. Enabling distance and group work for students, tutors and managers. The AutoCAD course at Gdansk University of Technology has been delivered for many years in a traditional mode – as lectures and activities in a computer laboratory. In order to reduce number of face to face meetings an idea to convert the course to the distance mode was born. For this purpose several students took part in an experimental course in a distance mode. They had been given printed course materials and were supposed to contact the teacher using e-mail or phone. Consultations and the final assignment submission were done by e-mail. All students finished the course with Autodesk certificates. After the first trial there was an extensive study of experimental results. Finally it was decided that the course should have been consisted of 10 modules covering basics of drawing in AutoCAD. Every module includes a set of tasks that should be done by students, with description of appropriate solution. The course materials were prepared as HTML pages to be acquired by the WWW, from the CDROM  or online. The course incorporates also a module about basics of teleworking. The methodology of teleworking is presented and communication tools are integrated in the TeleCAD LMS. Students are supposed to prepare a project in groups. The final assignment of the course is a project which must be delivered by internal e-mail in the TeleCAD system to the tutor. To prove that the student actually was an author of the drawing, he/she may be asked to make some changes to the project in the presence of the tutor. Since the end of Leonardo da Vinci project the TeleCAD course was offered as an environment for teaching AutoCAD and telework for students and others. The learning materials were published by Polish Publishing Company MIKOM (Warsaw) in October 2002  in a book and CD forms. The learning materials are also available online as Open Educational Resources (OER) . The TeleCAD course and platform were offered within other EU project as EMDEL (Leonardo da Vinci), Meeting of Generations (Grundtvig) and CURE (6 Framework) . The TeleCAD methodology was included in the offer of the Autodesk Authorised Training Centre at Gdansk University of Technology (ATC at GUT) . The Learning Management System (LMS) TeleCAD was an inspiration for implementing distance education and blended learning at the Gdansk University of Technology. In order to improve sustainability in 2003 the TeleCAD was replaced with Moodle due to lack of resources for technical development and improvements of the TeleCAD software  . In the Table 1 there is a list of TeleCAD LMS usage in the period 2000-2002 . In the TeleCAD LMS an internal evaluation system was used. The questionnaires were build and modified according to the manager and user’s needs. The internal system was used for evaluating the training materials, collecting learners needs and the pilot courses evaluation . 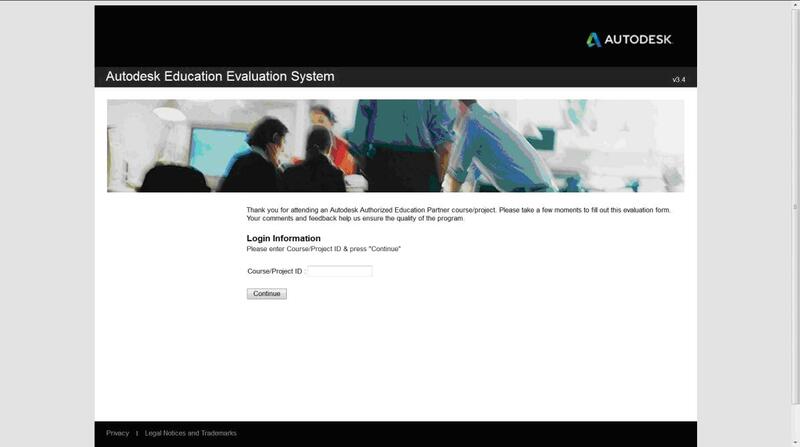 After including the course into the offer of Autodesk Training Centre at Gdansk University of Technology the evaluation system proposed by Autodesk has been used , . While planning the project the most important issue is taking into account the real needs of potential users. It is recommended to implement the project deliverables on the commercial or non-profit way in order to support the project sustainability. Due to financial constraints regarding the software development and improvement it is recommended to use Open Resource solutions which are on a top of interest of professional communities. For sustainability purpose it is recommended to offer the certificate which is internationally recognized and to promote it effectively , , .